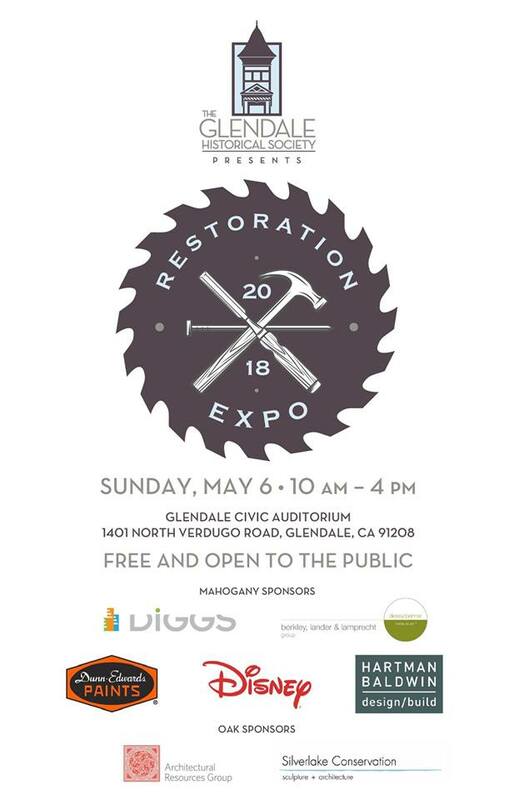 The DIGGS team is proud to be a sponsor of the Glendale Historical Society’s 2018 Restoration Expo. Kendyl will be speaking on the value of architectural preservation, and the DIGGS team will be handing out swag and goodies and letting people play with our virtual reality toys. In addition to the awesomeness DIGGS has planned, there will be more informative talks about the benefits of preservation, and exhibitor booths featuring restoration specialists and contractors, landscape and interior design professionals, period and reproduction tile suppliers and many other valuable resources.